I received a text message about an hour ago that Billy Mays died, but I wasn’t able to confirm it until now. Tampa Police report that at about 7:45 a.m. this morning Deborah Mays found her husband, 50-year-old Billy Mays, unresponsive at their home in Tampa, Florida. The body has already been removed from the house, and police report that there were no signs of forced entry and foul play is not suspected. An autopsy on Billy Mays is expected to be completed by tomorrow afternoon. Wow, there sure has been a lot of death in the entertainment world this past week. 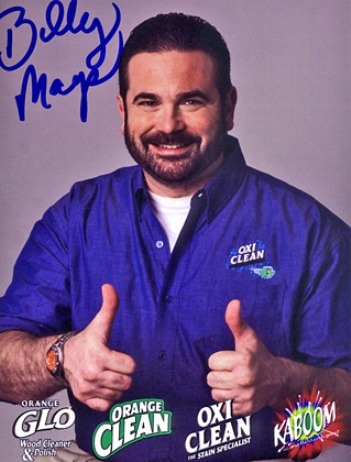 <p>This sudden and odd death of Billy Mays reminds me of the way Natasha Richardson met her end. I’ll update you if anything big happens.